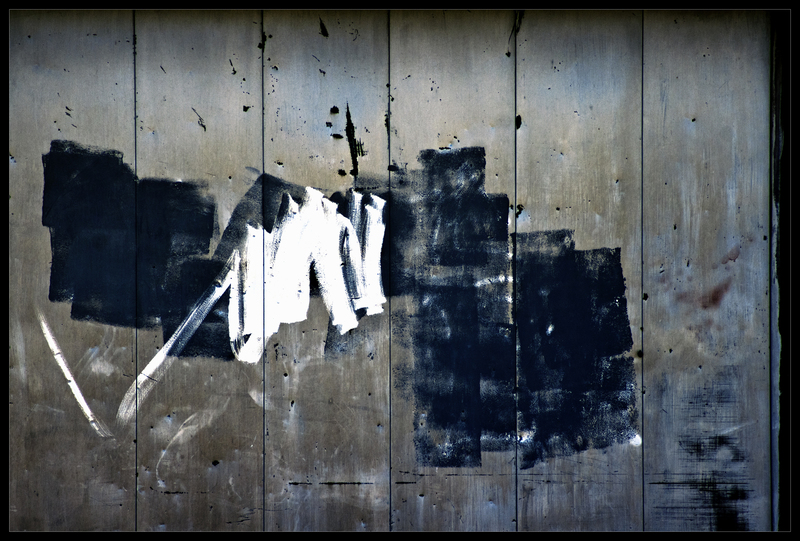 I find graffiti intriguing anyway, but this has the elements of a good abstract painting. Nice abstract. Better than some paintings see in some houses, way better. Where are you finding these great wall canvases? They’d make a good exhibit collection. I’ve been taking a lot of these from old, closed down industrial parks and abandoned warehouses. The lighting is always great and no matter where I look in the viewfinder, something always catches my eye. Not to mention each place is fairly different in it’s own way – different wall textures, rust patterns, machinery – etc. I’m now noticing walls in ways I never did before! Cool. It competes with the best of the Abstract Expressionists. Thank you Timruane24! You have some great abstract photos on your blog!